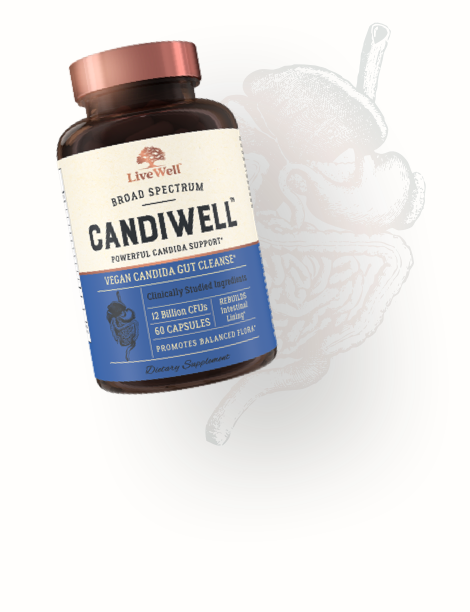 Livewell CandiWell ™ contains a unique combination of clinically studied herbs and botanicals, fiber-digesting enzymes and 12 billion CFUs of potent probiotics designed to balance intestinal yeast, provide powerful digestive support and restore valuable gut flora. The addition of aloe vera to this 100% all natural and potent formula promotes the rebuilding of a healthy intestinal lining wall, which helps improve digestion and enhances your immune system responses, so you can live well. Aids in the detoxification and cleansing of the digestive system, which helps to improve and maintain proper Candida levels in your body. A naturally-occurring yeast fungus, Candida is good for your intestinal tract in small amounts, however candida overgrowth, due to overuse of antibiotics, consumption of sugar, stress, or other dietary reasons, can dramatically affect your overall health and wellbeing. 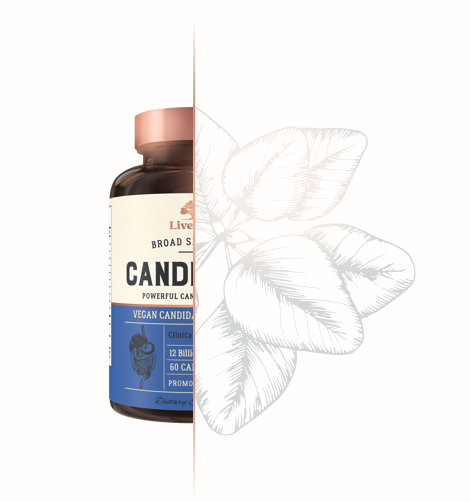 CandiWell is an effective support for your battle against candida yeast overgrowth, aiding in the detoxification and cleansing of the digestive system, which helps to improve and maintain proper Candida levels in your body. CandiWell is made with nature’s own time-proven ingredients like Oregano Leaf Extract, Wormwood Leaf Powder, Reishi Mushroom, Aloe Vera Leaf Gel, prebiotics Protease and Cellulase, and 12 billion CFUs of probiotics, making it a very effective yet gentle formula that supports you in every stage of your candida cleanse.